I have a special pedal board set-up for when I’m called on for Folk-Rock, Country-Rock and Jangle-Pop related projects. The signal chain is: BOSS TU-2 tuner, JangleBox compressor / trebleboost, Electro-Harmonix Soul Food overdrive, 5 O’Clock fuzz, Red Witch Violetta delay, chorus, and a clean boost (sometimes I include a Danelectro Rocky Road Leslie speaker emulator as well). Whatever it is, it has to fit on the small board, that’s the only rule. 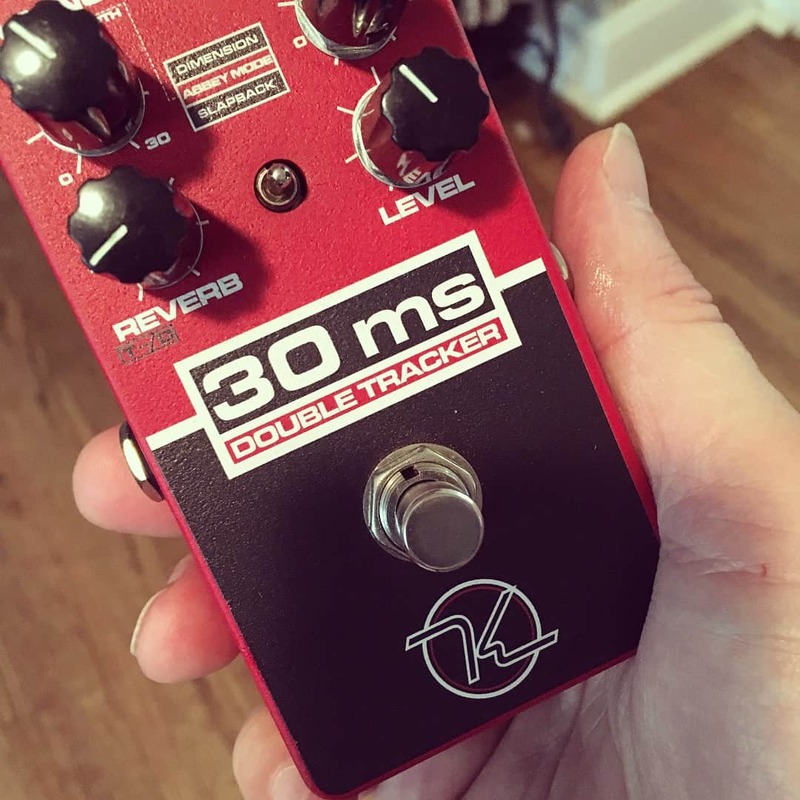 For chorus I’ve been using a Mooer Ensemble King mini pedal, a pretty good clone of the venerated BOSS CE-2, but am replacing it with this Keeley Electronics 30ms double-tracker. It has an “Abbey” setting that is supposed to emulate EMI Studios’ ADT (aka “automatic double tracking”) machine, used on The Beatles albums from 1966 on. I’m sure my fellow RIC-12 fanatic friends like Rick Reil, Tony Poole, Jon Graboff, Anthony Meynell, John Tinloy, Steve Lasko, Bill Lloyd, Paul Mutchler, Charles King, John Jorgenson, Christian Bryan, Les Fradkin, Sid Griffin, et.al. will be more or less interested in the results…I’ll be using it for the first time on a track for Mark Mortimer‘s The Know Escape album, and will report back. Watch this space.